Some nations have been slower to move away from cash than others. As the ECB's Benoit Coeure recently pointed out, in the eurozone the use of cash is actually increasing, even compared to bank cards (with the notable exception of Britain). That may be the result of central banks' negative interest rate policy. The ECB and Bank of Japan both essentially charge interest rather than pay it for some deposits, which prods consumers and companies to hold cash instead. 2. Lyft's cry to early investors: "Remember Facebook!" Driving the news: AT&T said Monday it's selling its minority stake of Hulu back into Hulu's streaming video joint venture, giving Disney a total of 66% ownership of Hulu and Comcast/NBCUniversal a 33% share. It's unclear whether Comcast would sell its stake to Disney, but Variety's Todd Spangler notes that the fact that the Hulu stake was sold back into the joint venture, rather than to Disney, "is further indication that NBCU wants to remain a key player in Hulu." Why it matters: It's looking like Disney's streaming plan is to build a stable of strong streaming services that it can bundle together at an efficient cost. So even if the Disney+ service isn't a Netflix killer, its services bundled together could look like a nice alternative to Netflix. About the call: Castello Branco, Petrobras' CEO, said Bolsonaro simply warned him during the call about the risks of a potential new truckers' strike if diesel prices rose, Reuters reports. A 39-year-old self-employed daytrader named James Adducci is the man behind the $85,000 bet on Tiger Woods winning The Masters that paid out $1.275 million, Golf Digest's Stephen Hennessey reports. 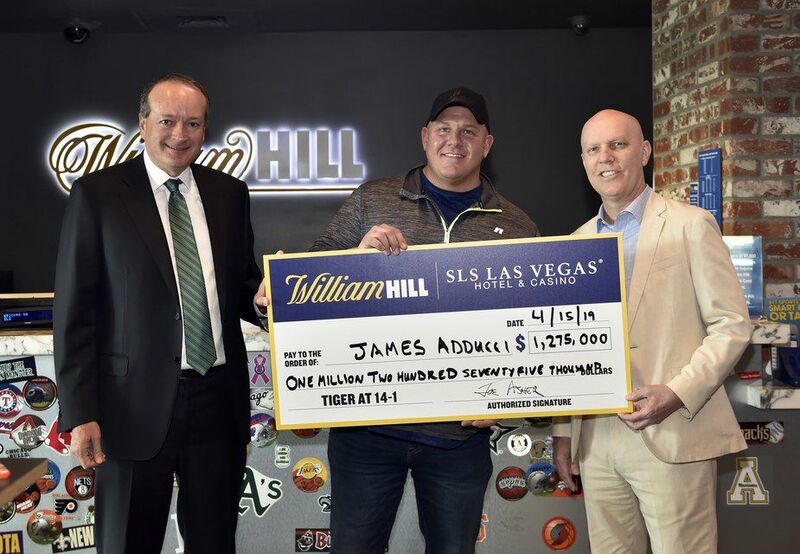 How it happened: Adducci "flew from Wisconsin to Las Vegas earlier in the week to place the wager, which he claims to be his first-ever bet on sports in his life. A man with a mortgage on his house, two student loans and two car loans decided he would take $85,000, which he said was 'everything I had that I could afford to lose,' and place it on Tiger." "Why? 'I just thought it was pre-destined for him to win,' Adducci explained when reached on the phone on Monday afternoon." Hennessey reports that Adducci took $85,000 in cash out of a bank and carried it in a backpack that he purchased from Walmart that day in Las Vegas. He then took a shared Lyft "so he could save $2," with a mother and her child, who were talking about how they were struggling to find the money to pay rent. The bottom line: "After being turned away by two casinos, Adducci arrived at the SLS Las Vegas Hotel & Casino, operated by William Hill, and after Director of Trading Nick Bogdanovich discussed with his boss, the sportsbook decided to accept the wager, which ended up being the largest individual payout on a futures bet in the sportsbook conglomerate's U.S. history."